WASHINGTON, DC — The Internal Revenue Service is reminding taxpayers that they have two weeks remaining until the April 18 filing deadline and that they can use IRS Free File to do their taxes or file an extension. As of March 25, the IRS has received more than 82 million individual income tax returns, which is 58 percent of the 141 million returns expected this year. The IRS has received about the same number of returns so far this year as it did at this time last year, while processing of returns is up 3 percent from the same time last year. 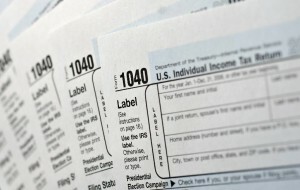 Usually, 20 to 25 percent of all taxpayers file in the final two weeks of the tax season. And, usually, about 7 percent of taxpayers seek a six-month extension to file. Taxpayers have an extra weekend to file this year because of a District of Columbia holiday. The deadline for 2011 is Monday April 18, instead of April 15. If you cannot meet the April 18 deadline, file an extension, Form 4868, Application for Automatic Extension of Time to File U.S. Individual Income Tax Return. All taxpayers can use Free File to submit a Form 4868 for an automatic six-month extension. And, Free File will be available through the October 17 extension deadline for late filers. The six-month extension is to file a return only; it is not an extension to pay taxes due. If you are unable to pay your taxes, file a tax return anyway to lessen the penalties and pay all that you can. Then work with the IRS to set up a payment plan or you can go to IRS.gov and use the Online Payment Agreement Application. In addition to Free File, the IRS offers other free tax help services through volunteers at 12,000 sites nationwide. The Volunteer Income Tax Assistance (VITA) sites serve taxpayers whose 2010 incomes were $49,000 or less. Tax Counseling for the Elderly sites serve taxpayers who are 60 and older.